First African-American to run for Cobb County Commissioner. Organized a community group that petitioned Cobb County for a Human Relations Council. Organized the Cobb County Marshals for the first Dr. Martin Luther King, Jr. Day Parade. 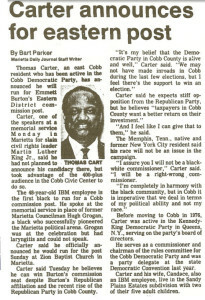 Co-founder and Chairperson of the MLK Support Group in Cobb County and was one of the key speakers before the school board that subsequently set aside a holiday honoring Dr. King. Co-founder of the Kathryn Woods Committee, a community-based organization that awards academic scholarships to deserving high school seniors. Co-organizer of the anti-KKK rally in response to the cross burning in West Cobb in 1988. Influenced a positive change in CCT bus routes and assisted in the formation of the Cobb Community Coalition for Social Change. Instrumental in getting a criminal charge against a 19-year old pre-law student reduced from kidnapping to a misdemeanor. 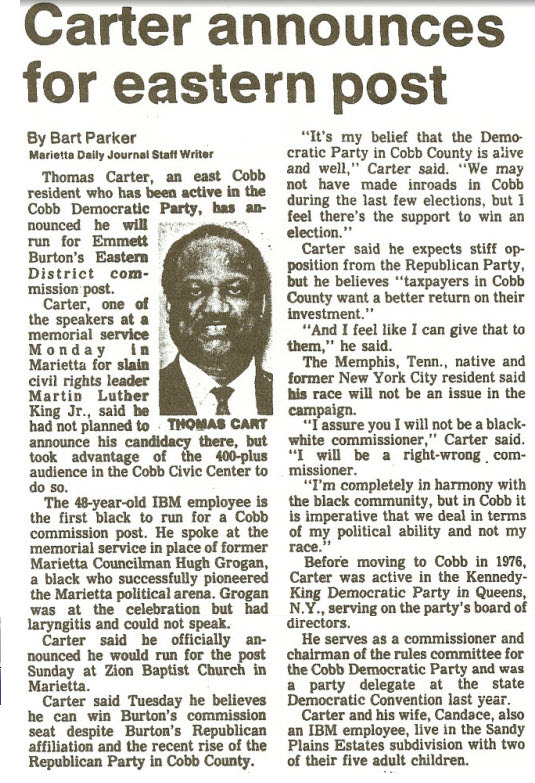 Thomas ‘Rube’ Carter is also former member of the East Cobb Kiwanis Club. He was a political advisor to candidates that ran for Congress and Superior Court Judge. 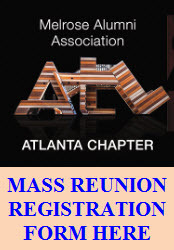 Foundation, Inc., he was responsible for getting the Cobb County Commissioners to budget $33,000.00 per year, for two years, to this organization; he is the former Chair of the Board for AAGF. 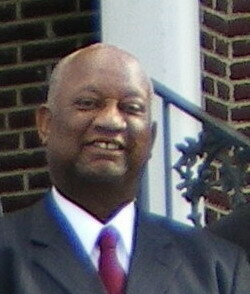 He is also a former coach of the Blackwell Bear’s football organization in Cobb County and coached a championship basketball team for the Lawrence Street recreation center in Marietta, Georgia. Rube Carter is a veteran with an honorable discharge and is married to Candace Carter, formerly of Beacon, New York. He is the father of five adult children, and is retired with disability.